At Cucina on Hay, Perth city’s latest Italian eatery, the team are hands on when it comes to feeding the body and filling the heart with joy through sharing the simple pleasures of life: “La Dolce Vita”. Simple but bold, this all day eatery is a contemporary take on provincial. The nonchalant, thrown-together vibe is comfortingly casual. It’s a lively, but relaxed atmosphere focused around giving and sharing; sharing food, wine, memories, stories and laughter. We want to welcome you to share that experience with us every day. 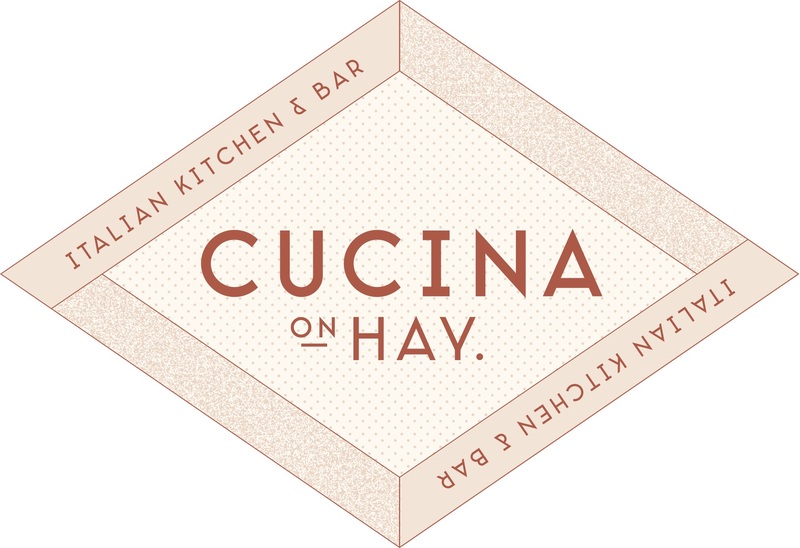 From mid-March 2017, Cucina on Hay will be showcasing their authentic Italian shared experiences in Perth city’s east end, open from 7am until late, 7 days a week. Entering the space will feel as if you have stepped into a bright and welcoming classic alimentari (Italian food store) kitchen to share a meal with newfound friends, bonding over the common language of food. Excellent brunch enjoyed with friends. Thank you for a lovely morning. The food was good, not fabulous. The service was excellent - very friendly and helpful. Food is great especially their lunch specials. 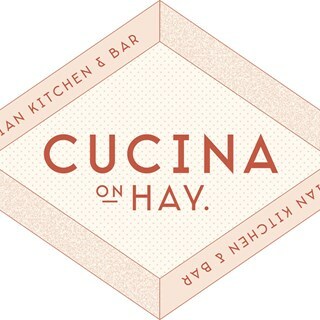 Food is always delicious at Cucina on Hay and exttra bonus that there is happy hour from 12 pm to 1 pm. Only thing when pouring a spirit drink with a soft drink not to use a long glass. It should come in a tumbler glass. Thank you so much for your feedback, we hope to see you again soon. There is almost non-existent service in the dining area. If you need anything you have to go to the cash register which could be a queue. And no chicken or pork available on a weekday lunchtime. Really??. It is already a fairly limited menu. The food was excellent and the service was fantastic. Best dishes of the night were the duck ravioli and trio of gnocchi. Will definitely be going back. Thank you so much, we hope to see you again soon!! The wine we wanted wasn't in stock. Then I ordered a Bellini and there was no peach liquor in stock. The focaccia was also sold out/not available. It was disappointing there was limitations on drinks and no bread considering it was a Friday night. Also the discount promised with the online booking didn't happen. But the service was great. Great quality delicious food, good pricing and fantastic staff make this restaurant a winner! We will be sure to return. Thank you so much for your lovely comments, we look forward to seeing you again soon. We enjoyed the food but found the restaurant rather noisy both from the construction work across the road and also the hard walls and ceilings in the restaurant make for a lot of noise from other patrons. Not bad really... it was disappointing that most of the desserts are no longer on the menu. For an Italian cafe the background music needs to be contemporary not salsa music. Staff were very good but under pressure even though it wasn't very busy. Great food. Great staff. Good value for money. Thank you so much for you comments, I will pass your feedback onto our team and we hope to see you again soon!! You have made the Chefs day, thank you and we hope to see you again soon.